While Samsung hasn’t shown much interest in adding more members to the Galaxy Mega series, it just launched the Samsung Galaxy Mega Plus, which is a slightly upgraded version. The Samsung Galaxy Mega Plus is an upgraded version of the Galaxy Mega 5.8 with all the exact same specs except for a faster 1.2 GHz quad core processor instead of the earlier 1.4 GHz dual core processor. The 5.8 inch display with resolution of 960 x 540 pixels remains untouched. There is also 1.5 GB of RAM and 8 GB of internal storage. 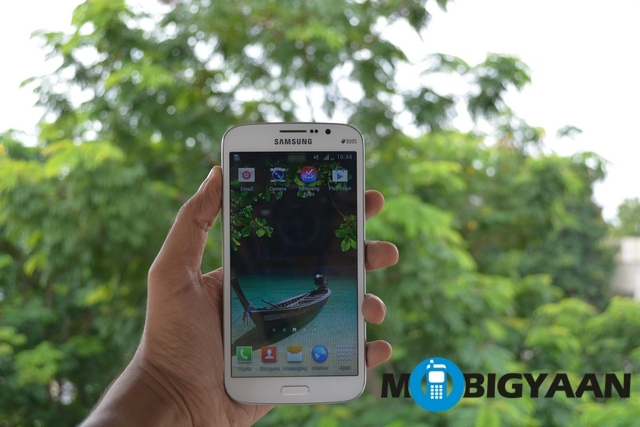 The Samsung Galaxy Mega Plus is also equipped with the same rear facing 8 MP camera with LED flash. There is also a front facing 1.9 MP camera. The company could at least update the OS to Android v4.3 but instead loaded it with Android v4.2.2. The phone runs on a 2600 mAh battery. As of now the handset is available only in China, but there is a possibility of global rollout.